"A yummy easy to make prawn recipe, great as a side dish or appetizer!" Stir together the rum and lime juice, and set aside. Melt butter in a skillet over medium-high heat. Add prawns to the skillet, and cook until they are just starting to turn pink. Spoon the rum and lime juice mixture over the prawns one tablespoon at a time. Light the rum on fire after each tablespoon. Be careful! We serve this over rice with steamed vegetables for a meal for two. 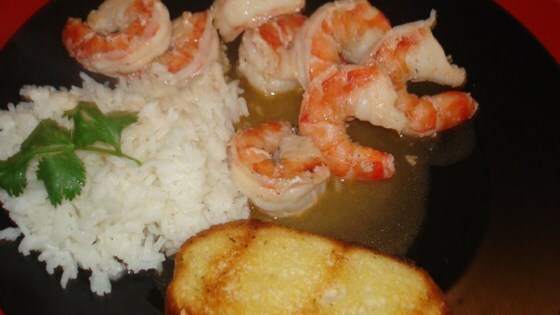 Easy to make, but taste is just ok. Not my favorite way to eat shrimp.